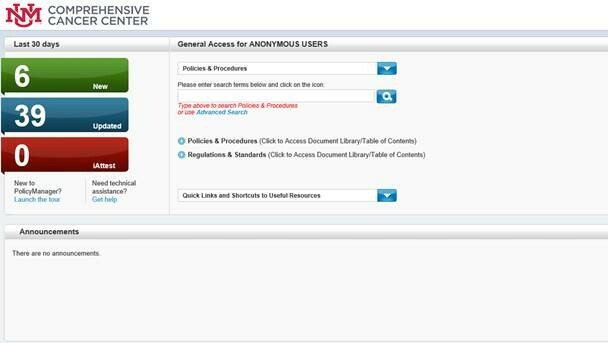 Cancer Center Staff Documents & Forms Policies, Procedures and Guidelines are now available online through PolicyManager. The new online system is shown below and offers a keyword search and other convenient features. You also may watch a video on how to use PolicyManager. Open PolicyMedical through the icon on your desktop.